Dolby Dimension Wireless Headphones | Nerd Much? With Christmas right around the corner, the pressure is on to get your loved ones the perfect gift. And if they’re asking for a new set of headphones, it likely doesn’t get much better than the new Dolby Dimension Wireless Headphones. Dolby touts their Dolby Dimension Wireless Headphones as “the first wireless headphones perfected for entertainment at home.” That’s pretty lofty praise. But after seeing what these bad boys can do, it appears warranted. One of the most impressive things about the Dolby Dimension Wireless Headphones is its Dolby LifeMix technology. Adjustable at any given time, Dolby LifeMix allows you to actively control how much noise cancelation is in effect. You can put the headphones on full transparency, allowing you to actually here whatever shenanigans are going on in your home around you. Or you can set the Dolby Dimension Wireless Headphones to full noise cancelation, completely shutting out the world from your ears. As far as the sound itself, the Dolby Dimension Wireless Headphones feature “Virtualization” tech. Dolby describes it as an “advanced digital signal processing that dramatically enhances the sound of all your movies, shows, and music.” The headphones also sport head tracking which ensures that sound always seems as though its coming from your screen resulting in a more realistic experience. Utilizing a Bluetooth connection, your Dolby Dimension Wireless Headphones can switch between your TV, tablet and phone with a press of a button. And the device’s Intuitive Touch Controls allow you to easily “play or pause, adjust volume, go forward or back, and more.” You can also make calls while using the headphones and assess the Siri and Google Assistant devices within your home. The Dolby Dimension Wireless Headphones aren’t exactly cheap. They’re being listed by Dolby for $599. But if you can afford to splurge, they truly sound like a revelatory device for your home theater. Shipping is free to get them into your home, and Dolby offers free returns should you have any issues. There’s also a 30 day free in-home trail to prove to you that they’re worth the hype. 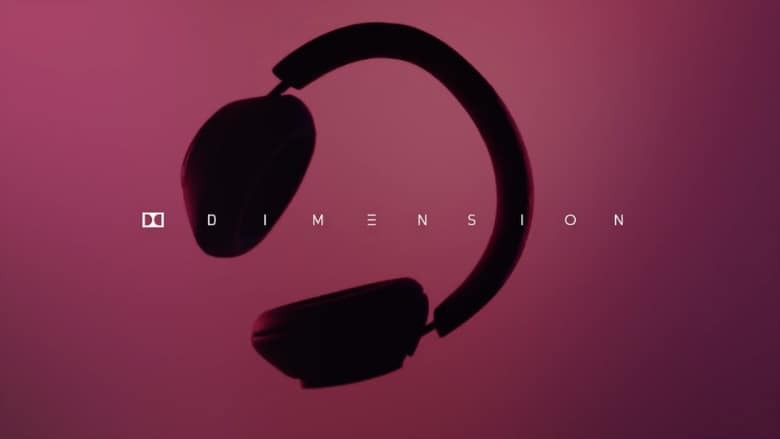 For more information on these sweet Dolby Dimension Wireless Headphones, check out Dolby’s video above or head to their site for more details.